In the past, Tara has been an active member at the DAHLC which eventually, that passion lead to a job application. Tara loves teaching group fitness classes that help people (temporarily) forget they are exercising. Whether that’s through music, laughs, or pure enjoyment, she always feels motivated catching a smile from a member in the mirror. 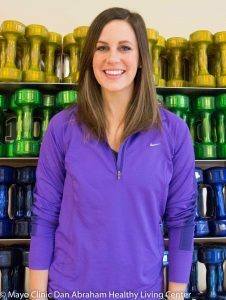 During the day, Tara practices as a registered dietitian specializing in weight management, bariatric surgery, and cardiology. Outside of work, she enjoys cooking, reading, entertaining, and running with her golden retriever, Piper.